KUNMING, China -- Senior leaders with U.S. Army Pacific, the People's Liberation Army and representatives from various disaster management agencies recently held an expert academic dialogue during the U.S.- China disaster management exchange November 13-19 at Kunming, Yunnan Province, People's Republic of China. 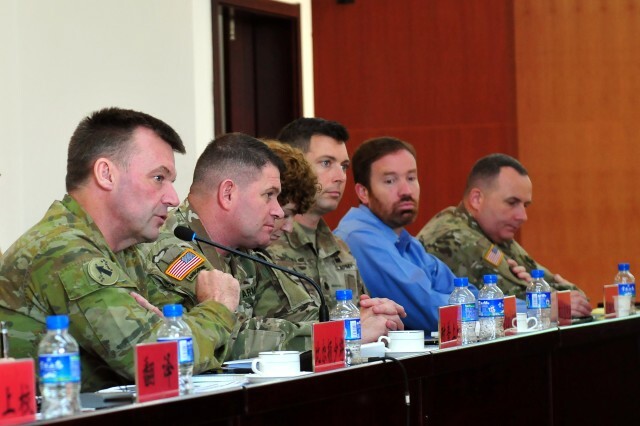 The EAD featured three days of briefings from senior U.S. Army and PLA leaders on topics varying from high altitude rescues and associated medical threats to the valuable lessons learned in response to previous natural disasters, such as earthquakes in the Yunnan region of the People's Republic of China in 2014. It also featured briefings from the Daniel K. Inouye Asia-Pacific Center for Security Studies (APCSS) where Dr. Deon Canyon provided a detailed briefing on the combined military response applied to Cyclone Winston in Fiji. This multinational response to a natural disaster stemmed a lot of detailed discussion on the importance of structure in response, such as the Multi-National Coordination Center, and the importance of the impacted nation to maintain its sovereignty while accepting assistance. Participants and subject matter experts discussed the importance of responders to consider the balance of not just the impacted nation's sovereignty, but also the potential for unique cultural and religious beliefs in the rescue response. Mr. Jesse Wolfe from the Center for Excellence in Disaster Management and Humanitarian Response provided several examples of how the military is uniquely suited for disaster response just based on their normal warfighting capabilities. "Because of the military's structure for core competencies like rapid response, heavy airlift, engineering and construction and air traffic management, they correlate well to support the chaos that can often occur surrounding a humanitarian assistance response mission," Wolfe said. In addition to USARPAC and 8th Theater Sustainment Command personnel who would be involved in the disaster management or response process, there were also representatives from U.S Aid, the Northern Warfare Training Center, 18th Medical Command, U.S. Army Corps of Engineers Pacific Ocean Division, U.S. Army Corps of Engineers Seattle District, the 19th Sustainment Command (Expeditionary), the 141st Civil Engineer Squadron of the Washington National Guard, the Center for Excellence in Disaster Management and Humanitarian Assistance and the 311th Sustainment Command (Expeditionary). Each participant felt as if the exchange was successful and beneficial, with both nations learning how to better work together in the face of tragedy. 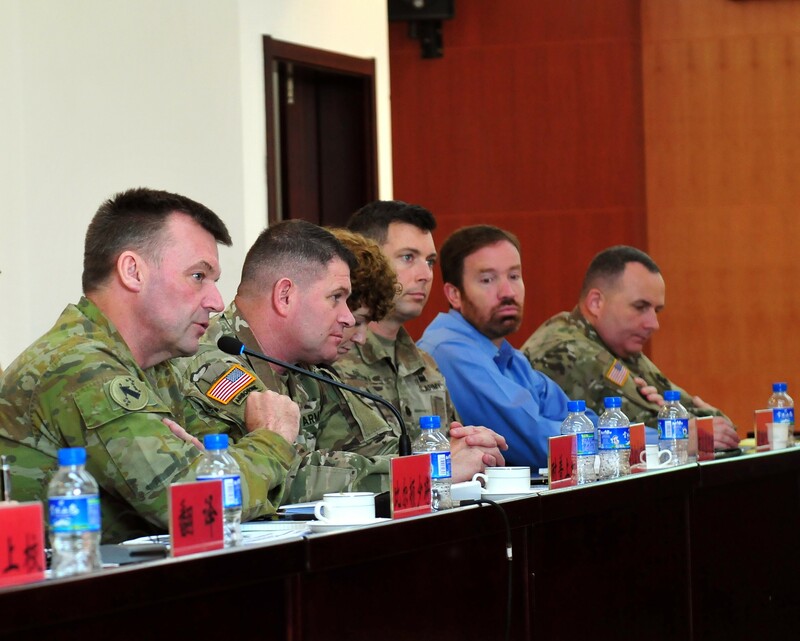 "This week's agenda is comprehensive and is designed to facilitate the sharing of experiences, techniques, and best practices," said Maj. Gen. Gregory Bilton, the deputy Commanding General of USARPAC. "We will work together to optimize our ability to respond, providing vital aid to people in distress. When major disasters occur in the Indo-Asia Pacific, both nations will be better prepared to cooperate and deliver relief to human suffering." The EAD participants also took part in a command post exchange, which simulated a large-scale disaster in a fictional third country. 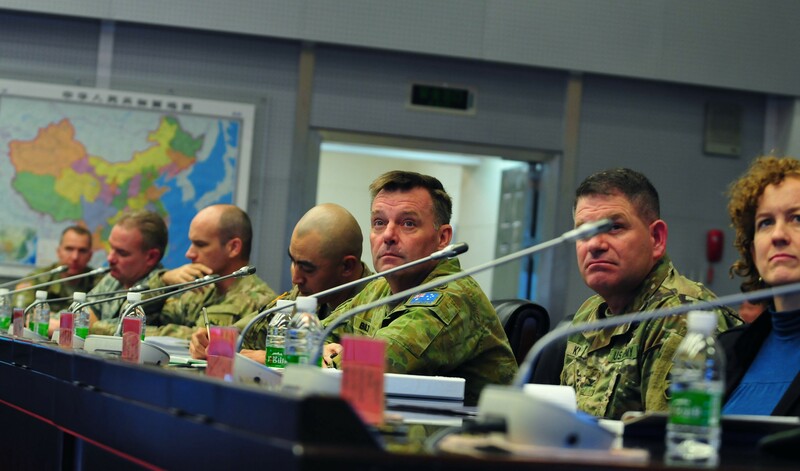 The scenario took place simultaneously with the U.S.-China DME's practical field exchange, in which the command post exchange participants from the U.S. and People's Republic of China coordinated support and responsibilities. 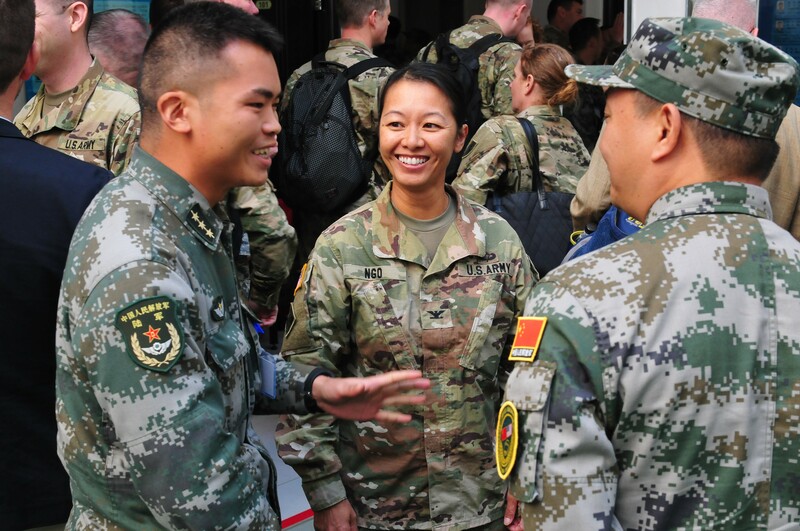 "Because of China's location in the region, it is postured to be a key responder during a natural disaster request for assistance," said Col. Danielle Ngo, Commander of the 130th Engineer Brigade. "Military to military exchanges such as this one, featuring open and substantive discussions, will help us improve mutual understanding, build our civilian-military and multinational capabilities in the future. Our combined end state is to help those impacted nations and people while allowing them to receive assistance with dignity." Participants from the both the U.S. and China were proud to participate in the exchange and hope that it continues in the future. 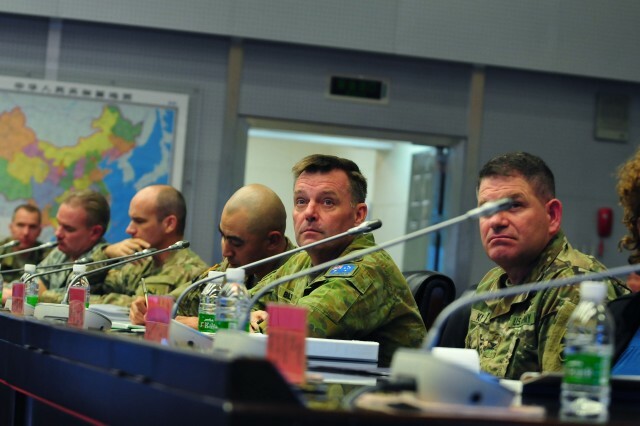 "I had some discussions with Gen. (Robert) Brown, and together agreed that this DME was a very successful one," said Lt. Gen. Liu Xiaowu, Commanding General of the PLA's Southern Theater Command. "Through the DME our two militaries have improved our practical cooperation and combined operation capabilities in dealing with non-traditional security threats." Starting in 2005, the exchange has expanded each year since. Over the years, the DME has been held at locations in Hawaii, Washington, D.C., New York and multiple areas in China. 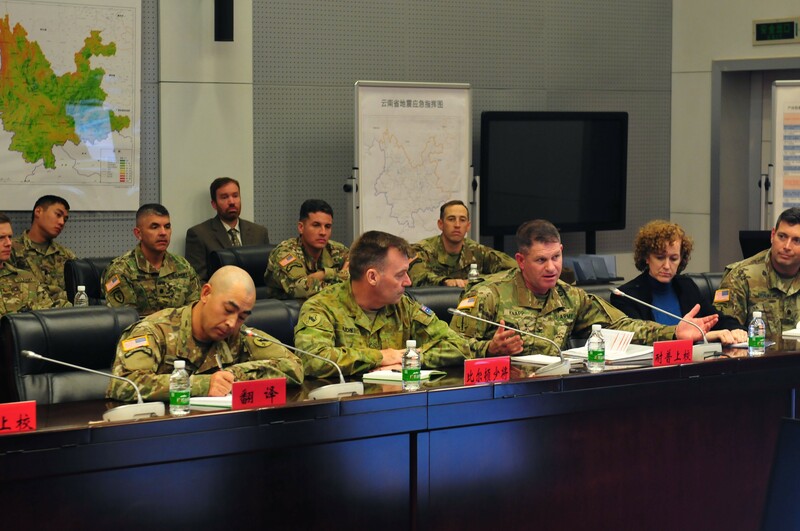 The DME has also matured from basic visits and briefings into a substantive exchange that uses table top and practical field exchanges to focus and facilitate cooperation and interaction between the U.S. Army and the PLA.